The dark grey skies overhead could not dim the welcoming smiles of the staff on the ground. 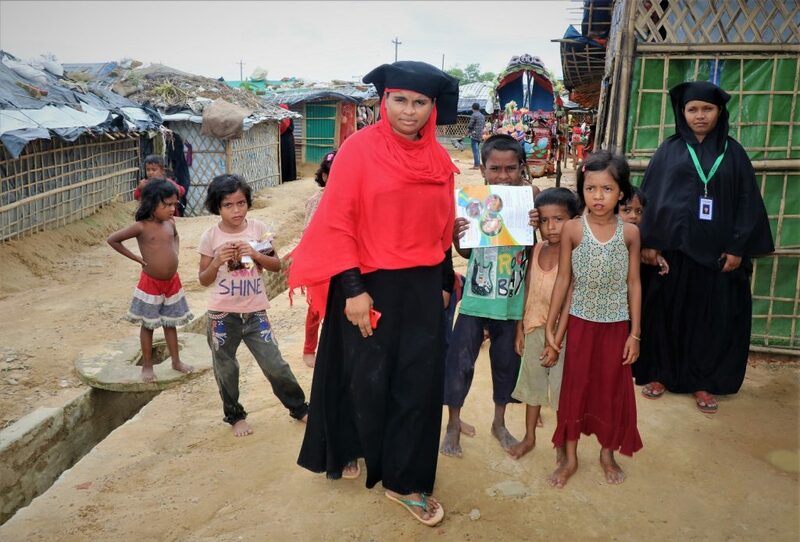 Nutrition workers and volunteers were kitted in the brightest orange t-shirts and caps for this year’s Nutrition Action Week here in the makeshift settlements in Cox’s Bazar. Groups of little children walked intently through the sandy mud, holding hands, closely followed by a volunteer of BRAC’s communications for development (C4D), supported by UNICEF, who guided them to their nearest nutrition centre. They looked on, curiously, at the various instruments that measure weights and heights, and the jars of vivid red and blue vitamin pills. The second round of Nutrition Action Week took place in all 30 registered, makeshift and new settlements of Ukhia and Teknaf sub-districts this week, from 14 to 19 July 2018. This was organised by the Ministry of Health and Family Welfare, UNICEF, and 17 sector partners, including BRAC. The activities aimed to accelerate the coverage of nutrition services for children. 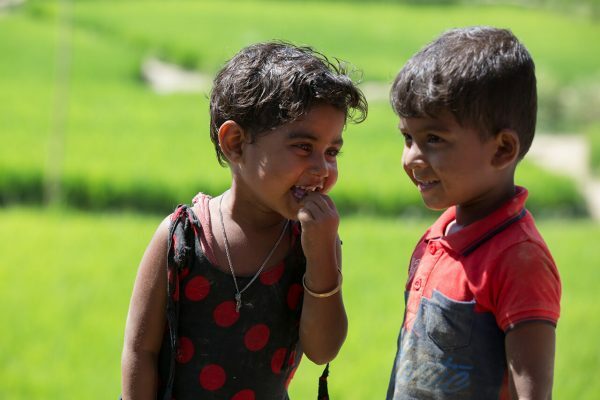 This followed an earlier campaign in November 2017, in response to an assessment at the time- which showed a 7.5% prevalence of life-threatening severe acute malnutrition among children under five in the communities. 80 nutrition centres were set up within the settlements, half of which operated temporarily for the week, and the other half which operate on an ongoing basis. The centres offered a range of services to improve immunity and tackle malnutrition. 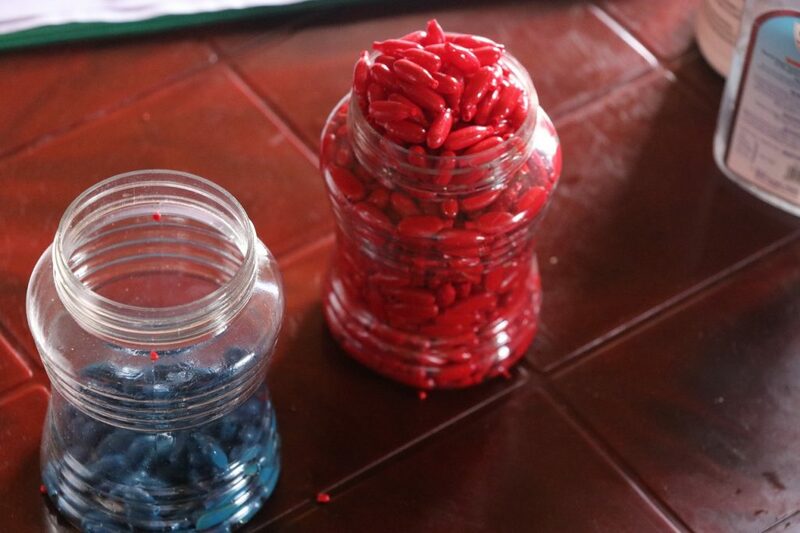 140,000 children between six to 59 months were targeted to receive Vitamin A capsules. 95,000 children aged 24 to 59 months were to receive deworming tablets to clear harmful worms in the stomach. Sanitation conditions are very poor in the settlements, making children more susceptible to stomach worms. These preventative measures are alarmingly necessary. Malnutrition has been flagged at acute emergency levels. Any outbreak of disease in the settlements would quickly claim the lives of thousands of malnourished children. More than 208,000 children under the age of five are in need of critical life-saving nutrition interventions. Nearly 150,000 children are at risk of suffering acute malnutrition. The centres were set up to screen approximately 242,000 children aged six to 59 months for malnutrition. Any child found malnourished was referred to further nutrition support and counselling. 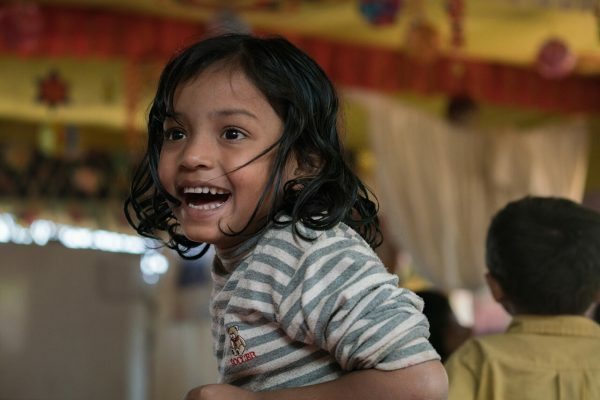 BRAC has worked closely with nutrition sector partners to provide four of its centres for malnutrition prevention and treatment in the settlements as nutrition centres for the week. In the run-up to Nutrition Action Week, BRAC’s 800 community mobilisation volunteers went from door-to-door to raise awareness about the importance of carrying out routine screenings for malnutrition. They targeted a total of 40,000 households, or approximately 200,000 people. Nearly 1,000 majhis (community leaders) and imams (religious leaders) met at 27 meetings BRAC organised a few days before the campaign began. The community leaders extended their support, encouraging community members with young children to attend. BRAC’s community mobilsation volunteers were entrusted to take children to screening centres when parents were unable to do so themselves. The results were reported back to them. 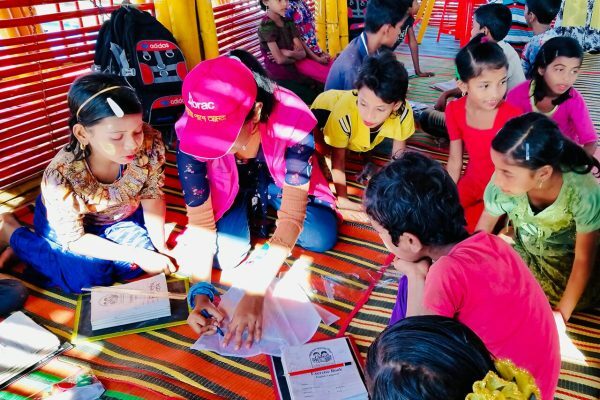 Tahmina Ishrat Banu, nutrition officer for Save the Children, one of the partners from the nutrition sector, highlighted the important role that C4D volunteers played in mobilising the children who attended the nutrition centres over the course of six days. Going forward, to scale up BRAC’s work in the nutrition sector, AFM Sujauddoula Alamin, nutrition specialist at BRAC’s humanitarian crisis management programme suggested including nutritional support at BRAC’s 11 primary healthcare centres in the settlements. Jebi Rahman is an international and sustainable development consultant, and has previously worked with BRAC UK.